The Commit! 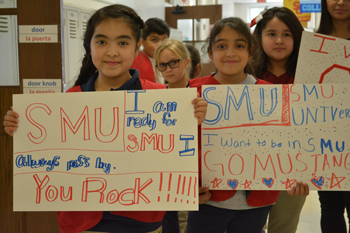 Partnership rallies community-wide partners to improve education for students throughout Dallas County. Posters were plastered in every corner of Dallas County — in laundromats, libraries, the YMCA and recreation centers. Ministers spoke from their pulpits and stuffed inserts into weekly bulletins; Rotary groups, The Lions Club and city councils discussed at their regular meetings. Short commercials, in English and Spanish, aired before movies at local theaters. The message was simple: Preschool registration was quickly approaching, and 37,000 students who were eligible for free programs were regularly left out. Their parents and guardians didn’t know about eligibility… or about the $136 million in state funding available for preschool. More than 45 Commit! partners assembled to spread the word and distribute 45,000 fliers to parents and guardians throughout Dallas County. That’s what Commit! does best: brings together partners from all community sectors to focus on improving kids’ lives throughout the county. Through these combined efforts, Dallas County saw 1,300 more families enroll in preschool. From its start, the Commit! Partnership went big. Following a visit to StrivePartnership in 2011, they received an Annie E. Casey Foundation grant and began a relationship with StriveTogether. The initial steering committee determined that the partnership’s scope would be Dallas County and established 11 community-wide indicators. Today, the Commit! Partnership has 15 full-time staff and a couple of dedicated volunteers. It brings together more than 15 early childhood providers, more than 20 K-12 districts and schools, 10 postsecondary institutions and more than 40 philanthropic funders, along with numerous parent and teacher groups, business organizations, civic leaders, and nonprofit and faith-based organizations. The Commit! Partnership also convenes a Leadership Council, seven Support Councils spanning the cradle-to-career continuum, and four Action Networks focused on kindergarten readiness, early literacy, early math, and college access and success. So far, partners express appreciation for the push to get better together. “The Hope Charts have been a huge lever in setting the conversation in the right direction,” Ward said. 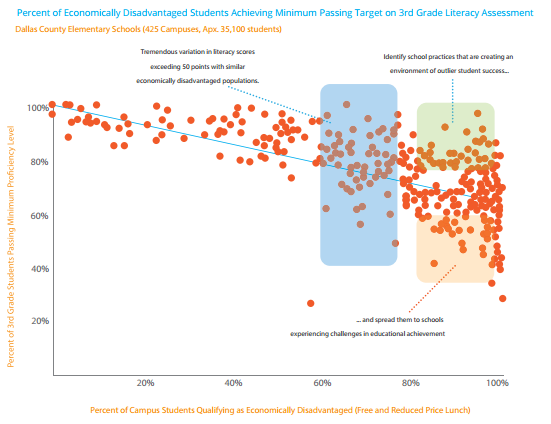 The charts disaggregate data by showing achievement by school and have been significant in lifting up bright spots and identifying promising practices across the partnership. But collecting and comparing that data can often be challenging, sometimes due to certain legislative restrictions. And that’s where Commit! is able to take it 200 miles farther to the state capitol. Kindergarten readiness was one such barrier. 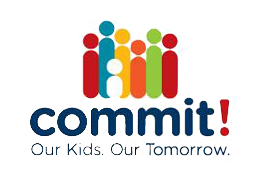 With multiple readiness tests across districts, Commit! and its partners struggled to measure and compare test scores across the county. So when the Texas legislature started discussing SB 172, which is a state bill focused on reading development and comprehension of public school kindergarten students, Commit! seized the opportunity to act. With increased preschool registration and consistent readiness tools, Dallas County will be making big strides to impact one of their 11 student achievement indicators. And Commit! will keep working with its partners to impact every student’s chance to succeed. Formed in 2012, the Commit! 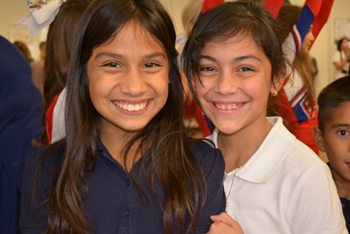 Partnership is a growing coalition of 160 different institutions, all with a vested stake in the educational outcomes of Dallas County’s ~750,000 students. The Partnership’s efforts are supported by a dedicated backbone staff of 17 individuals and over 120 community members serving on various councils guiding the work along the cradle-to-career continuum. The Commit! Partnership is a Sustaining member of the StriveTogether Cradle to Career Network.